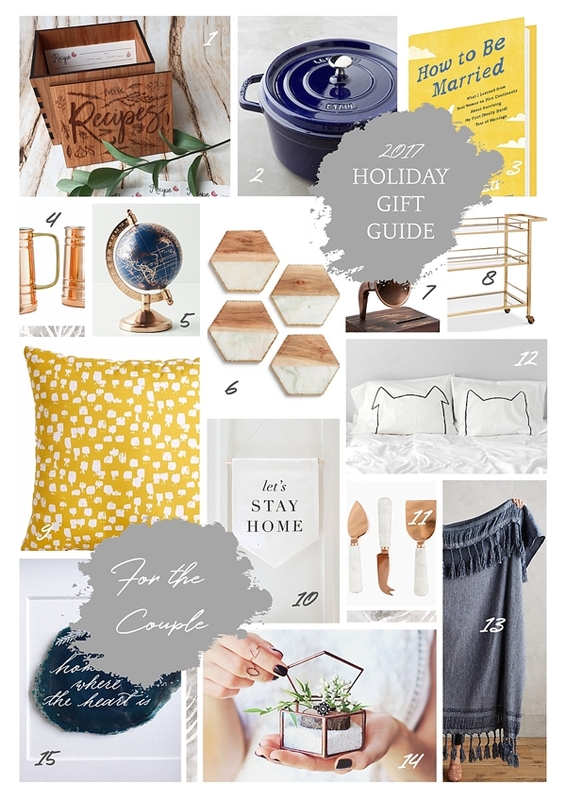 November is upon us, so 'tis the season for holiday gift guides! We know that there are two kinds of gifting people: perfectly crafted, researched, and curated presents pro or "I'm going to wait for the very last minute to go shopping" aficionado. 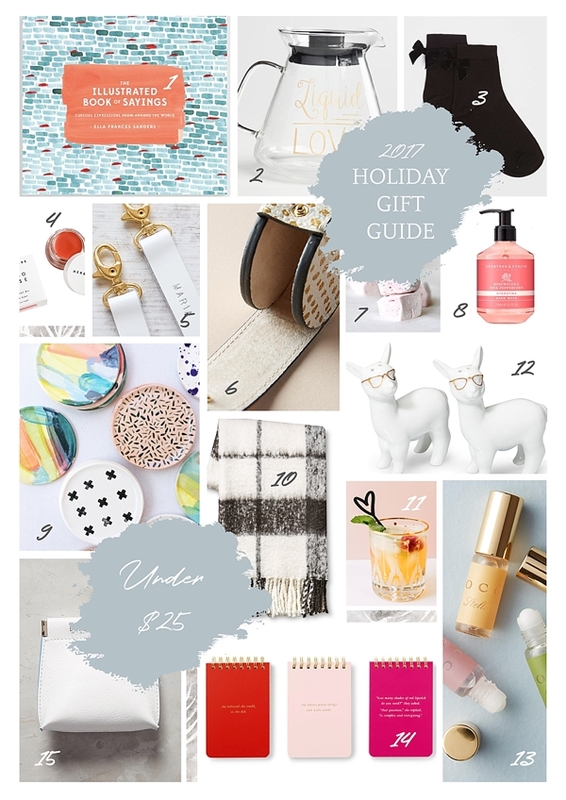 We like to think we're going to create a midpoint between the two with our 2017 gift guide collection! This year, we have designed a comprehensive guide for everyone on your list. Whether it's for your newlywed friends, for the various stockings that need to be stuffed, or for your Pantone-loving bestie, we’ve sorted out the best options depending on your holiday ideas. Inspired by hues of deep blue and the comfort of home, these couple-focused gift guide is for all those lovebirds who appreciate cuddling up in front of the fireplace, entertaining their friends, and lazy Saturday mornings in bed. 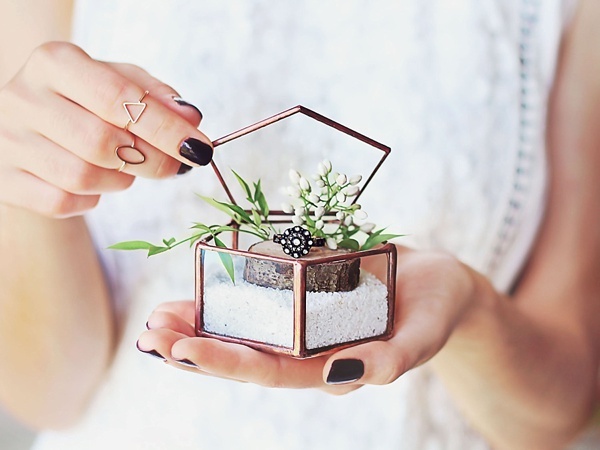 Thoughtful and affordable, these chic gifts make the perfect stocking stuffers or stand-alone presents under the tree. Whether your pal is practical, quirky, or trendy, it's a happy heart swoon fest with these goodies! For all design and color gurus out there, Pantone continues to invade every part of our beautiful world in the most perfect ways... even this holiday season! 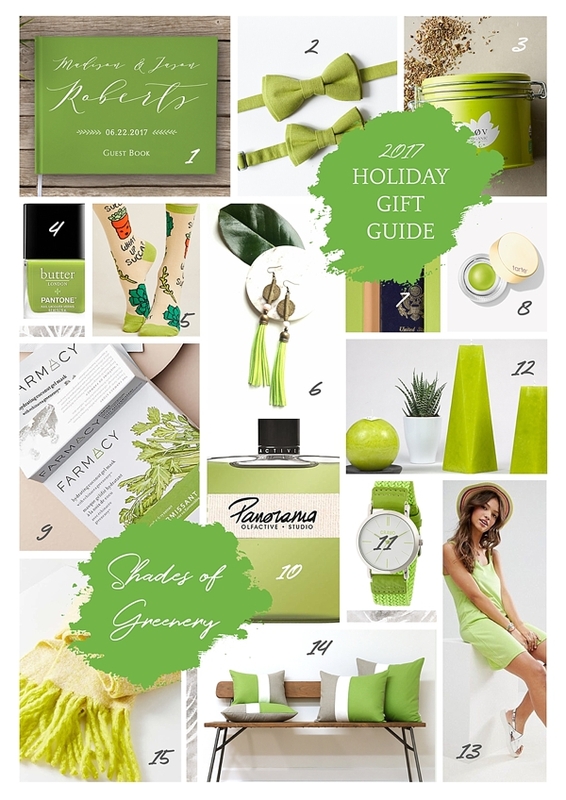 With the 2017 Color of the Year, Greenery, as our core inspiration, these home, beauty, and fashion pretties will make any of your artistic-eyed loved ones smile. For our other curated collection of 2017 Tidewater and Tulle Holiday Gift Guides, head over to our Travels section for gifts inspired by Mexico, Kenya, and Iceland.